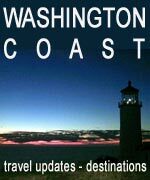 (Yachats, Oregon) – Just a tad north of the Lane County line and just south of the cozy central Oregon coast village of Yachats, Cape Perpetua soars upwards and yields an endless array of surprises around it. 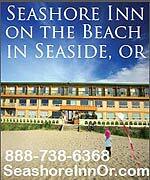 This is nature at its best and most rugged, yet civilized amenities are just a short drive away. Sometimes, however, the surprises come in how you look at things. 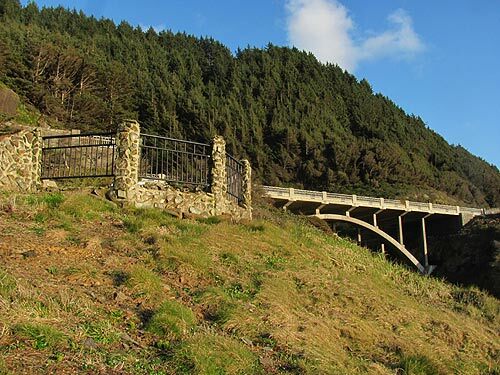 This area provides some astounding, different ways to look at beaches and structures that are already jaw-dropping. 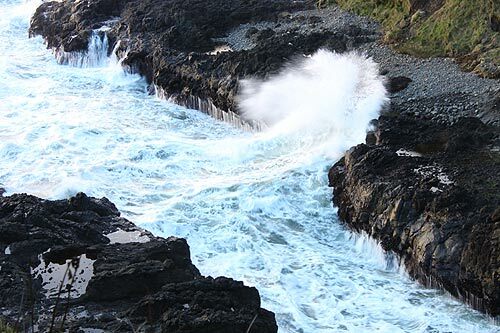 Cape Perpetua and its Devil's Churn provide the most striking and dramatic examples of how different angles can be mind-blowing. 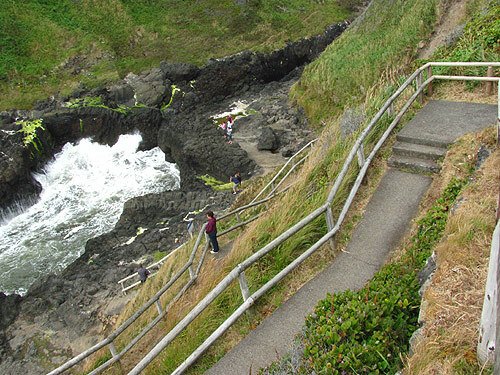 From the famed landmark's parking lot, you descend one hundred feet over via a long, meandering staircase, down to the tidal melee and oceanic chaos known as the Devil's Churn. 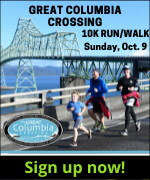 From that parking lot, your route down looks like this. 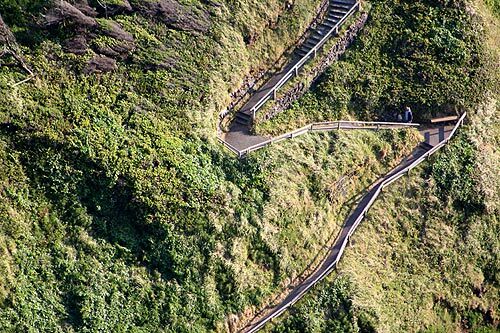 But from the very top of Cape Perpetua itself – some 600 feet in the air – you get a bird's eye view of that stairway, and it winds up looking more daunting. More so than it really is, actually. 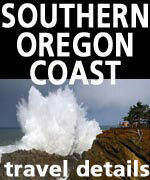 Not far from the cape, one of the most spectacular spouting horns on the entire Oregon coast lurks at Cook's Chasm. Things don't just explode here, they fire upwards with a wild and impressive hissing noise. 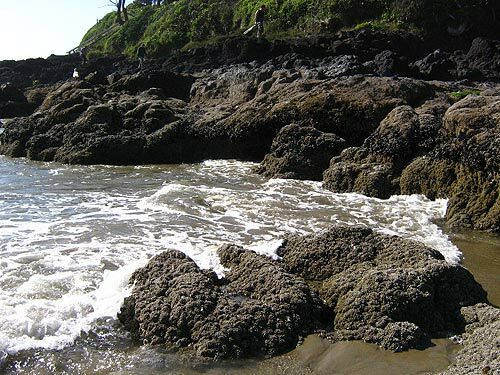 Much of this area hosts a lot of marine gardens: rocky shelves with an abundance of tide pools. 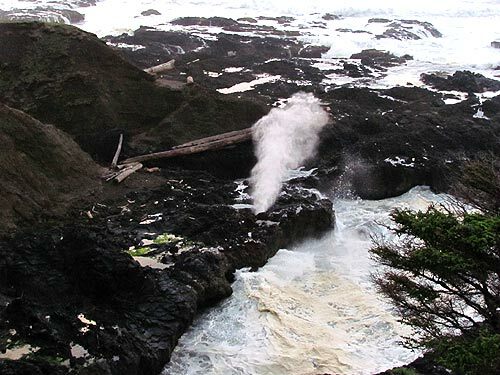 There's even a mammoth hole that sometimes becomes visible if tidal conditions are right called Thor's Well. 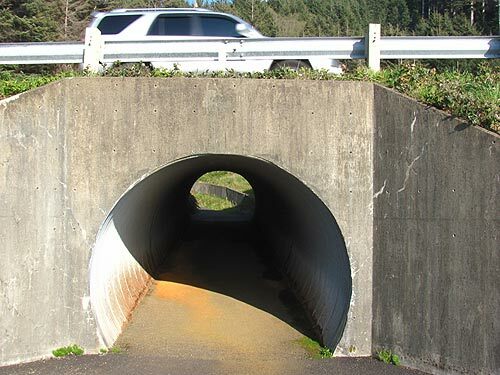 Near the entrance to the marine gardens section – which includes a handicap-accessible platform – a tunnel under Highway 101 leads off to hiking trails going up the cape. Closer to Cook's Chasm, the bridge over the chasm provides wondrous viewpoints to manic spouting horn below. From the top of the cape itself, this is what the area looks like. 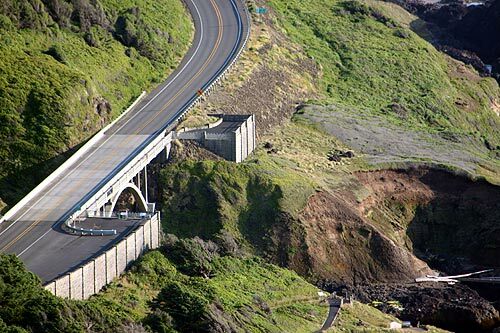 At the Cape Perpetua Visitor, the views are astounding in themselves. 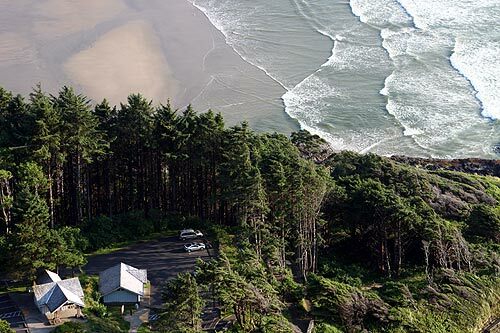 But from the top of Cape Perpetua, you can look down on the center – and even the beach known as Cape Cove. Here, it's unusually wide and safe to wander. 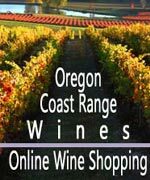 For more information on Yachats, see the Yachats, Oregon Virtual Tour and its companion, the Upper Lane County Beaches Virtual Tour.